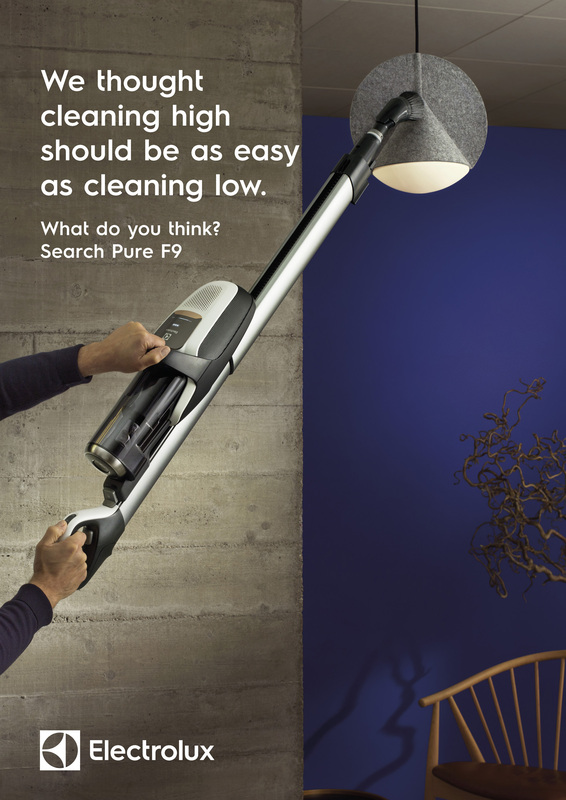 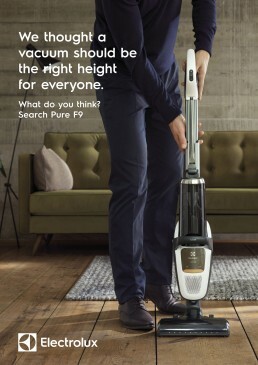 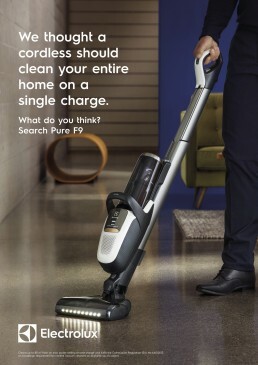 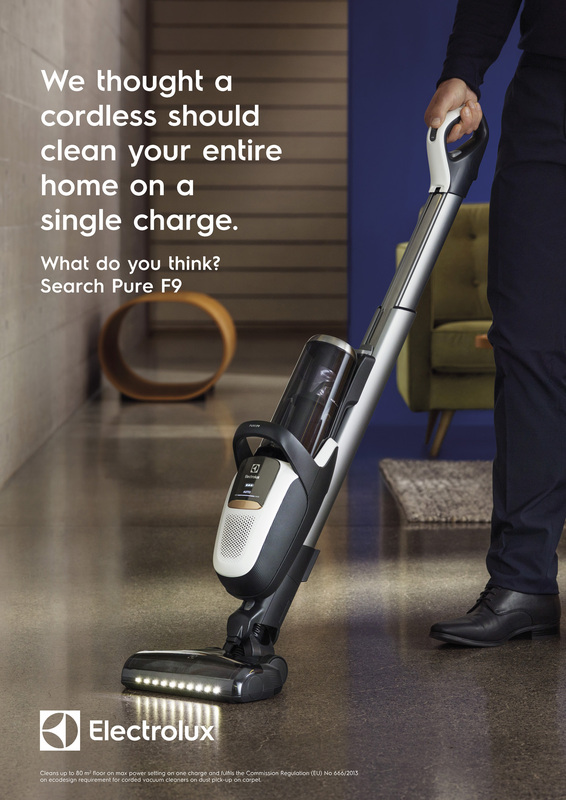 Launching the world's most innovative vacuum cleaner. The Pure F9 combines ground-breaking battery life in a unique form that is better designed, lighter and more flexible than any cleaner before it. 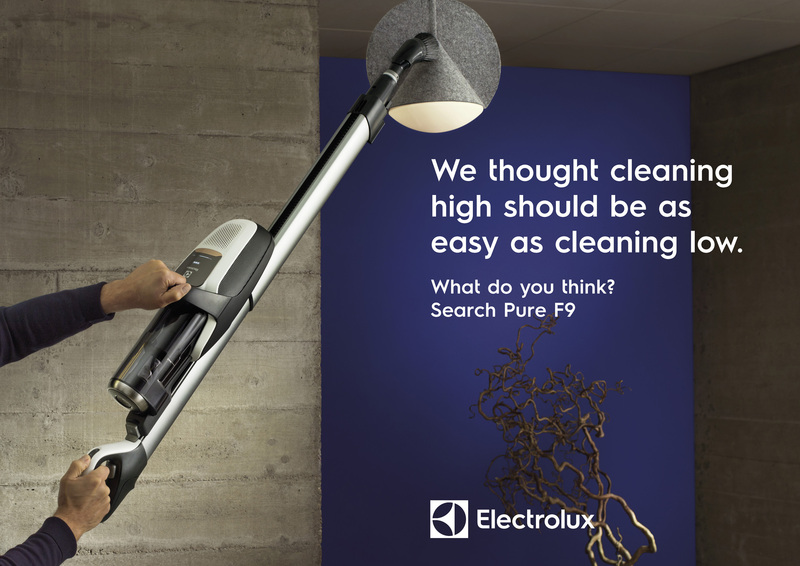 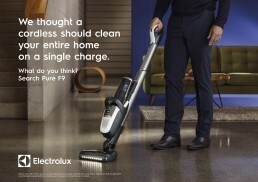 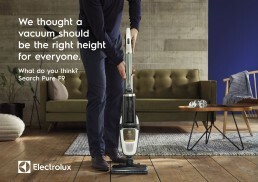 Electrolux wanted a campaign across print, digital and TV that brought that promise to life. 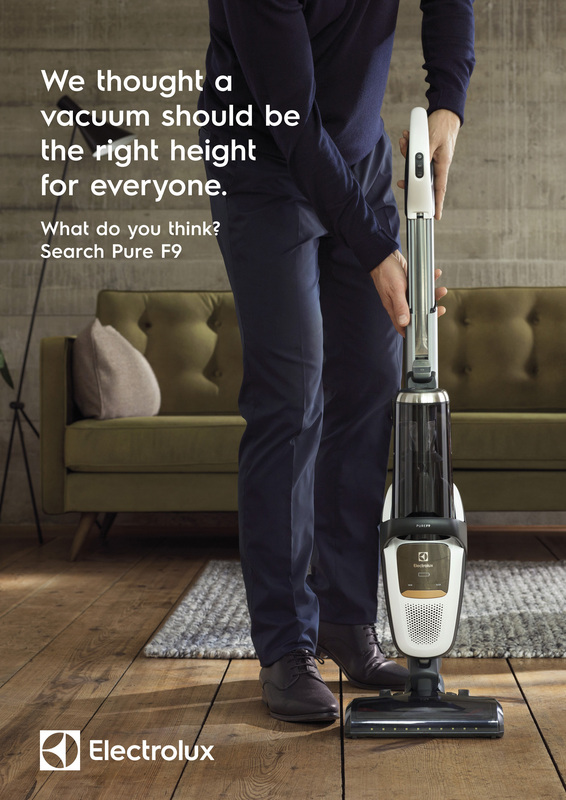 Combining our award-winning photographer John Bennett and Creative Partner, Simon Amster who directed the commercial, we combined our production expertise to create a truly integrated campaign that matched all aspects of the project for global use. 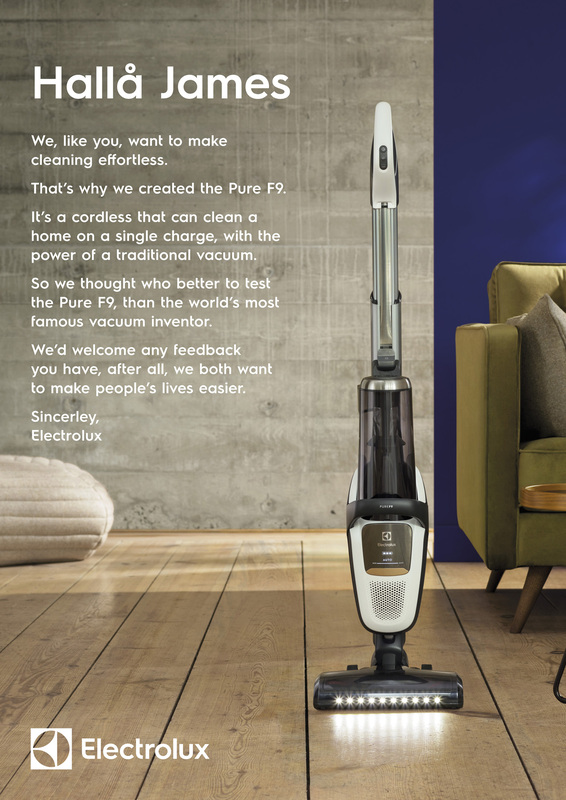 Launched in September 2018, the critical response to the cleaner has been outstanding, with positive hopes for a significant global market share in 2019.